Club Penguin Cheats by Mimo777 Club Penguin Cheats by Mimo777: Clue #2 for Mimo's Winter Club Penguin Party! Did you get the first clue? Ha. I read what some of you think and most of you are wrong, just sayin. Keep trying! Here is the next clue. Let me know if you need a hint. Giving away another 1,000 coins tonight! HUH???????? never heard of that movie. a little help plz?? I'm thinking the same thing.... Why'd you quit CP? It is DEFINITELY NOT lame! I'll miss you! LOL! You said that we could tell you if we need a hint... I need one. Ok, I did some research, and I know that it's a movie...don't know how that connects to CP. This one might be pretty easy. I'm not sure. Hey Mimo! today's my b-day! (hold the applause till the end) thank you thank you! Don't know if you know this but when you go to the CP site all the penguins are dressed in ninja masks and belts! Also the volcano started smoking again and there is a black blob (ninja) in the motor boat!! I need a hint plz! I will give you guys a little hint:it has to do with something large on the dress. I thiiiink I know it ;) it's so HARD. p.s. Mimo you rock!! I always come onto ur site and watch for updates and i also follow you on Twitter!! You are awesome :D my cp name is Violet Eagle ciao peeps! oh! p.s.s I just figured out i can comment :) also can you be a cpg mod if you don't have a google account? thnx. ttyl! That was too easy. Just sayin. Just keep trying, last time mimo gave some hints on his twitter before the party so look out for those.Hope this helped! I dont get get it! Tell us! I dont get it! Tell us! I need a hint. xD The first one's tough. wow that was a big hint! thx though! lol i already got it. it is actually really easy. peace out!
? what is it ? hint plEASE ! 27 dresses, Katherine Hiegl hmmmmmmm CHICK FLICK! The EASIEST clue you have ever given.EVER. Of course yeah! Just answer questions, put your name plus (CPG Mod)) and you're set! For complete rules look at the rules on top of the mod list. Thanks! Also, great job on making the first step of a mod, I love checking out the mod list and yetsterday, I was like, hey there's ethanator. got it my mom read the book so yeah. i think mimo is trying to fool us into thinking everyone got the first clue wrong.....i am trusting my instinks, thats what everyone should do. totally!! it dpesnt really matter if you have any account or not. all you do is answer peoples questions (like i am doing to yours) and after your name put: (cpg mod). Have you heard the band? Thats your favorite movie? Wow. Happy Birthday! Yesterday was my Grandma's bithday. That "Black blob" has always been there. I noticed that to. Mimo doesn't e-mail unless it's official. I took me a few weeks to figure out how to comment. I was clicking the "Post comment(atom)" button the whole time! Anyway to answer your question. No, you don't need a google account to be a CPG mod. Sorry, but if Mimo gave out hints, than wouldn't everyone "need" a hint? I know that later he'll give hints on his Twitter, and I know a great way to tell when It's starting! If you look at the first clue there are a lot of helpful comments. P.S. Here's a hint. I THINK( not sure) it is the server and the name of the server sounds funny and imaginary! Mimo will giive u a hint but not a BIG one lolz! Plese make him a mod he helps me all the time. He is really funny and random. Mimo can't just tell you! It wouldn't be fun that way! its a movie so is it going to be at the stage? I found that poster again! And again and again! And it's always on music sites! Maybe it's Night Club (the music room)? It's somehow linked with music! best movie ever, james mersden(kevin) is soooooooo cute!!!! GUYS!!! IT'S NOT THE DATE!!!!! IF MIMO POSTS IT IT'S WRONG!!!!!! I think you have to have the amulet, but you can't get it unless you're a member. You got it, ur membaship quit, and you still have it. LOL! Hey, Racet, u wanna meet up on CP sometime 2 b buddies? THX everybody, but *GASP* LOOK! I am a mod! See? Your reccommendation worked! Giraffe, if you are talking about me, thanks, but I am a GIRL. X-D PLEASE, PPL: PLEASE STOP CALLING ME SKYA!!!!! MY NAME IS S-Y-K-A!!!!! >;-( OH, BTW, here's a totally random just for you guys! Totally Random: I LOVE CHEESE!!! Hmmmm! I think I got it! The release date of the movie is January 11, so maybe the TIME of the party is 11:00! Mimo don't post this if I'm right (And post if I'm wrong) Please! This has something to do with the 27. hmmm, I need more time to think :D.
Thats Katherine Heigl or soemthing like that out of the film 27 Dresses and the TV show Grey's Anatomy! Hope you carry on doing it cause your really good it at!! itsthedark here! And I have a pretty good idea about this. maybe it's the date...? hmm.. my favorite movie :D i don't know the clue though.. If it's the obvious, why did mimo allow all those posts with the answer to go through? Ha, if it's this month, I have a /real/ party to go to. But it's a /winter/ party so..
Is it in December or January? December since it's 27 Dresses and Dresses and December begin with the same letter? Btw, I never knew you were such a softie Mimo! omg i got it i just scrolled down then i was like "OMG I GOT IT!" Sorry, no one can tell you, the "movies" at the stage are actully plays. Actully he did say we could have a hint if we needed too. Looks like your wrong. Sorry! Oh, on ur sign-off situation: Make it on something you are, or something you love! If you love doughnuts, you can put: Lover of doughnuts, Chunkyman1. Or you can change it slightly. If you are phunnie, you can put: A phunnie dude, Chunkyman1. Take mine 4 example. I am warped and proud, so mine is: Warped and proud! ~Syka~ See? You'll think of something! Mimo will give a hint to one of his hardest clues, but for one of his parties he gave a big hint on a post that wasn't for his parties, it was a cheat post and by the time I checked it about 3 hours had past, but he said at the end, "I got to go get ready for something" or about that. And I immidetly knew the party was what he had to get ready for but I checked the post too late. ...I don't get it, but funny pick, lol! Ya think so? Maybe. Mimo can't tell you if you got it right 'cause then it wouldn't be that fair. Of course you can be a CPG Mod without a Google account! (I have one, but it has my 1st name, so I'm not allowed to use it...lol) For more rules for being a Mod, just check the rules on the side of the screen! 27:00) Not the server- (already got that) And not the room... who would guess that this is the room?! So I think I know what it is and besides, the answer isn't showing up in the comments but it must have something to do with the 27... ;D Good luck! What do you mean?!?!?!? I know sometimes it could be boring, but still... That does mean you should QUIT! One of my friends quit and we all miss her. But that's you, and I can't stop you from doing what you want. I just want you to think about what I just said... Ok? Happy Late Birthday 2 you! Lol srry I didn't c ur comment be4. Well my Friends Birthday is 2marrow! Hope you hade fun! Bye! you, I won't either. Srry! Try finding it out on ur own! Dude! That is her opinon! So what if she likes 27 dresses! I do too! So what! My opinon! Srry I got all Mad! :) Srry! I think it's the date.I MAY BE WRONG! But that's what I think. Cause it can't be the time,nor the place,or the server! Oh yeah,by the way Mimo....you rock! Oh and can I be a CPG MOD? Im good with answering questions! Think very carefully it not the server or the room so what else could it be? The Time or Date? 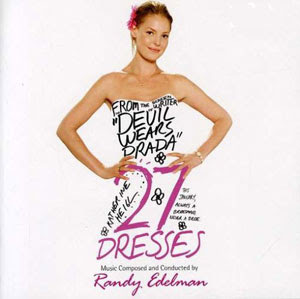 I not sure if I'm right,but I'll just say what I think the answer,Hint : "The Devil wears Prada"and "27 dresses" are about fashion.So I think ...well...I think I'm right,you have to use a little brain right?I can't say the whole thing.I said I may,may I said be right.If I'm wrong ,don't blame me if you appeared at the wrong place or wrong time or whatever. There is? Wow, I didn't know that. No, I am not Russian. I come from the USA!!! WOOT!!! We are so triplets what do u think Syka? I have no brothers or sisters so this is really cool for me lol! Is it the 27th of December? Sure! We can be the CPG 3! LOL! I only pasted our comments cuz that one before was getting rlly long! THANK YOU FOR SPELLING MY NAME RIGHT, KK! You are one of the few that has not called me Skya. THANKS! Mimo can't just make you a mod, you have to answer questions first then you become a mod then answer more questions to move up ranks. Check the rules on top of the mod list on the right bar. Just a shoutout, whenever you see someone that seems like TulipPearl1 like TulipPeral1 or something, that is probably me because I sometimes typ too fast, sorry. Uh, what's the Mimo code, usually he won't use codes, he only does tricky things. I have got the place but is 27 the date? really sorry (haven't posted in a while) but you remember me right? I don't get it. I think I need a hint. try looking at the dress. theres a HUGE clue on it. --omg its soooooooooooo easy people say its hard but what they dont know is that its right in front of there eyes!right there!